Do you find yourself keeping score when it comes to chores in your home? Like most married couples, my husband and I struggle not to get in a situation where we track who does what and assume that we are each doing more than our fair share. Since we know that things are never 50/50, I was interested to see the findings of a recent study from Scrubbing Bubbles (called the Dirty Work Index™ survey), where they examine the difference between men and women's attitudes towards household chores. Some of the most fascinating facts are being shared via the Scrubby Solutions Facebook tab -- complete with video commentary from John Gray of "Men are from Mars, Women are from Venus" fame. When it comes to cleaning, women think they do it all. In fact, 58 percent of women say it’s their “job” to clean, and a quarter (25 percent) of all women feels as if they are the cleaning “leader” in their homes. Conversely, more than half of women confided that they want more overall help from their partner or spouse, but 38 percent don’t trust them to meet their standards of cleanliness. To learn more facts and participate in the discussion, be sure to visit the Scrubby Solutions tab, as well as check out tools for getting it clean via the Scrubbing Bubbles website! Wanna Win? We are giving one lucky reader an assortment of Scrubbing Bubbles Extend-A-Clean products: Active Scrub, Bathroom Cleaner, and Mega Shower Foamer. To be entered to win, just tell us tell us how you handle the chores in your home! You have until March 10th at 11:59 pm CST to get your entries in, and winners will be randomly selected from all eligible entries. You may enter every day and we will pick one winner at random from all eligible entries. (Please answer the question for the first entry. Each entry after that can be "enter me.") This giveaway is open to U.S. residents ages 18+. See our full rules here. Me and my parents share the chores. So we get it done faster like that. We have a chore chart so everyone helps out. I have an app that helps keep me on track. It similar to Fly Lady and I love it! I am the one who does all the chores. I will sometimes give the kids something to do to help me out though. Where did the rest of the comments go?? I've been entering every day. Everybody pitches in so we can work together to get all of the chores done. Thanks for the awesome giveaway! If I'm lucky, someone else will take out the garbage or do the dishes. I do almost everything. What my husband does do I end up doing it again. For the most part I do all the chores. My lil girl has a few chores and she really enjoys doing her laundry! I do everything except the vacuuming and taking out the trash. The worst part? Doing dishes!!! I'd clean my bathroom all day to avoid doing a load of dishes! I do most of the chores and my family helps me on the weekend. I have a list, and I do it! My kids have a chore chart and do well on it. I know that I'm most productive in the mornings so I try to push and get as much done in the morning as I can. It still feels like our house is always messy. suebunting1977@gmail.com All three of us keep working till the chores are all done. So we spend the same amount of time doing chores even if the number of chores each one does is different. On the weekends I try do catch up with laundry and any other chores that need to be done. During the week, my husband keeps up with the minor housework like dishes and cooking. We handle the chores in our house by dividing up the chores. Hubby does the floors and dusts. I clean bathrooms & laundry. I shared this giveaway on facebook as Constance Vann. I hate doing house work, but it has to be done so I do it. The one thing I hate the most is cleaning the bathroom. That is the pits, but again it has to be done so I do it. 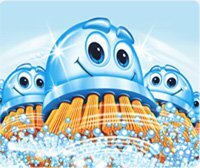 I thought that if I could win this Scrubbing Bubbles prizes it would help me feel a little better about myself as I clean the toilet. Ack! Enter me please! Thank you for offering us the chance to win! We buy our cleaning products in bulk. My wife and I divide the projects in half. I live alone, so I do all the chores. Thanks for the giveaway. I have 3 kids and myself to do the chores....and sometimes (usually) it's just me...and I do them all in one sweep on on day. I have no choice but to do ALL the chores myself, includint the yard work. HOwever the yard work I enjoy so I don't think of it as a chore. I do have the kids that have to maintain their rooms but the remainder of the house is ALL mine! I am now starting the Spring Cleaning so this would really come in handy! We have a chore chart that changes every week, so everyone helps out with a little something. I do all the cleaning myself. I just take a deep breath and get it done. The way I "handle" bathroom chores has changed since my newly-married days. I handle the cleaning and chores in my house mainly bymyself! I try to keep up on everything by cleaning, picking up, and putting things away when ever I can. At least once a week I fully attack my home and do a deep scrubbing of all bathrooms, showers, kitchen, floors, and windows! Some days I slack though and things can get dirty and at that point I really who somebody else pitches in a bit! My mom does the cooking, my dad the laundry, and me everything else! I live alone so I try not to be too messy and do everything myself! I try (and I stress TRY) to keep a routine. Space out the chores throughout the week so I can get stuff done in a regular fashion without getting overwhelmed. All the laundry done and put away in one day, vacuum/mop floors/clean bathroom another day, etc. I try. LOL. We have "The Blitz" - 15 minutes of rapid cleaning of a common room by the whole family, while music is played. Other than that the chores are fairly haphazard, unfortunately. I'm the primary person cleaning in my home but my children have their own chores they must complete daily. I do most myself during the week. My fiance sweeps and dusts on weekends. My husband and I share the chores. I have the kids help, but I do most all of the chores. My daughter & I split the chores as my husband works long hours. I clean one room a day! Everybody gets a turn from cooking to cleaning. Our whole family works together to clean the house! I handle chores by doing them a room at a time. For instance, one day I will focus on the kitchen and the next day I will focus on the bathroom. It keeps me from being overwhelmed. I do almost all of the cleaning and my husband does the dishes. It's the only chore I can't stand. I clean everything by myself. I take care of all of the cleaning, not because I have to, but because I love my family and want them to have a clean home! I'm the only one in my house so I try to do a little bit every day. My husband and I share the chores so it doesn't get too overwhelming. I do just about everything myself! Even when someone esle do anything..I go behind them because I am a perfectionist! Thanks for the giveaway...we try to "clean as we go", keeping the house clean by breaking down the jobs into discrete parts that we do each day i.e. vacuuming every other day, etc. I do mostly everything myself but break it up to make it easy on myself. I usually do the chores during the weekend, splitting them up into 2 days. Sometimes I just do the laundry throughout the week though. My husband helps out with the vacuuming and picking up things and usually does most of the cooking and unloads the dishwasher for me. I divvy them up between ME, MYSELF AND I.
I do them and do a lot daily.